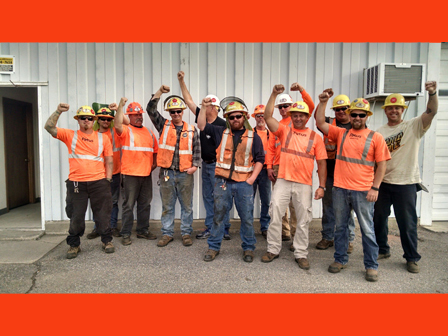 Bombardier Transportation maintenance of way employees working on Florida's SunRail commuter line are the newest members of the BMWED, voting last week to join the Brotherhood's Allied Federation. The 20-member track maintenance group is based out of Sanford, Fla. Official certification of the vote is expected this week. 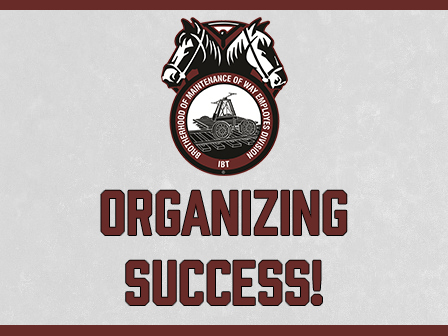 Maintenance of way department employees on the New England Central Railroad, who voted to join the Brotherhood of Maintenance of Way Division earlier this year, today ratified their first contract and are now officially part of the BMWED's Northeastern System Federation. 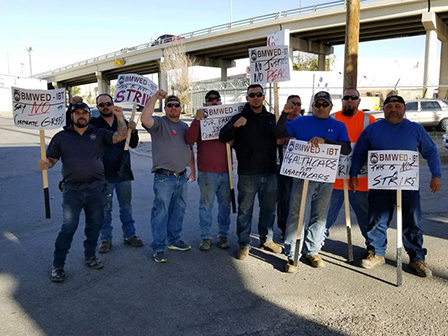 By a vote of 14-1, the 20-person NECR MOW department has its first-ever Union contract. (VIDEO) What do we want? HEALTHCARE!!! 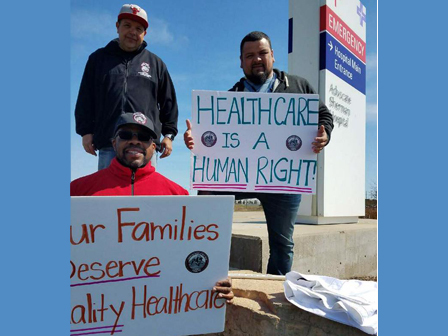 Hundreds of BMWED members and their families stand in Kansas City and 49 other U.S. cities to push for a national healthcare system that covers everyone. 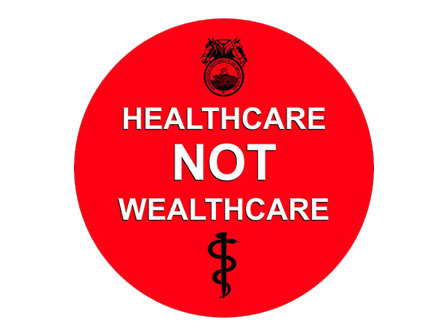 As members of Congress return to their home districts for the spring recess, they will be greeted by a broad coalition of doctors, nurses, students, patients, and Unionized railroad construction workers, demanding “Improved Medicare For All,” a single-payer health plan that covers all Americans. Video: Profits over People "Healthcare Petition"
The Big Four Class 1 Railroads combined made more than $12 billion in profit last year. $12,000,000,000. 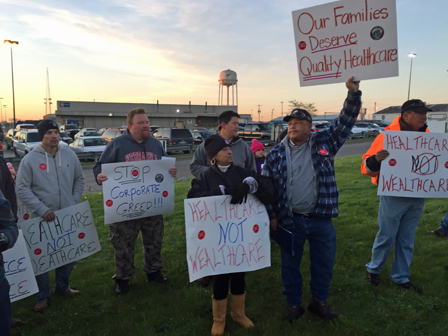 But negotiations continue to drag due to the carriers insistence that we regress backward to "mainstream" health insurance benefits. The BMWED CAT Team National Sticker Day was a start. But we all must continue to turn up the heat. Let us ALL make clear to the railroads that we are in this together. We work hard for a very profitable corporation. In 2015 BNSF racked up 19% in profits. In the first half of 2016, profits declined to 16.6% - which is still way more than most American corporations make.